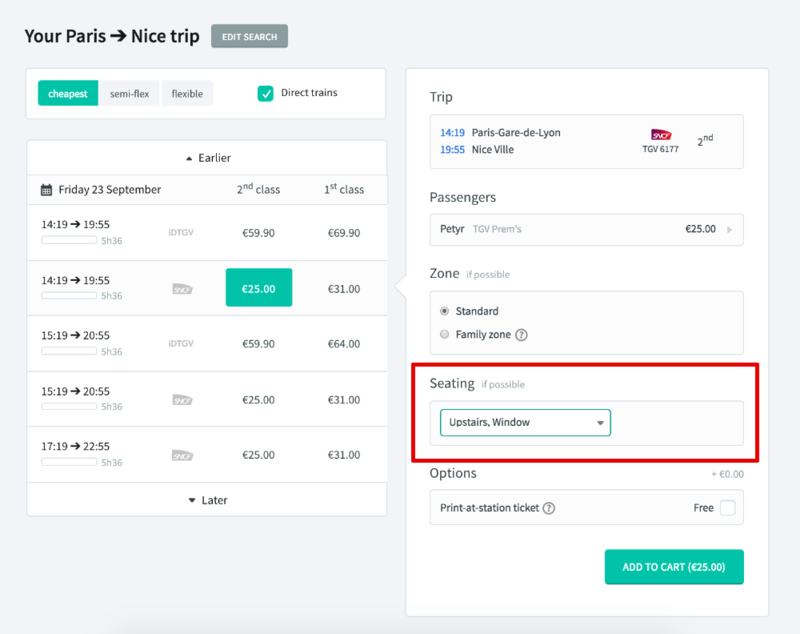 You can easily choose a seat preference for your train ticket. However, keep in mind that not all trains types and rail operators permit this. 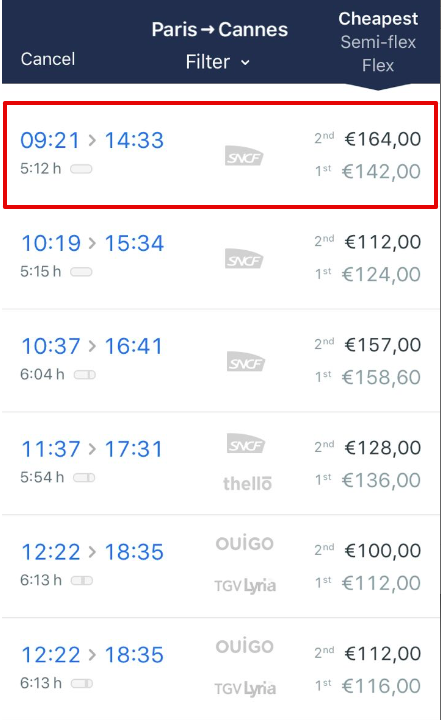 For example, you can specify a specific seat type and/or number on a TGV train, however you cannot do this for Deutsche Bahn trains. 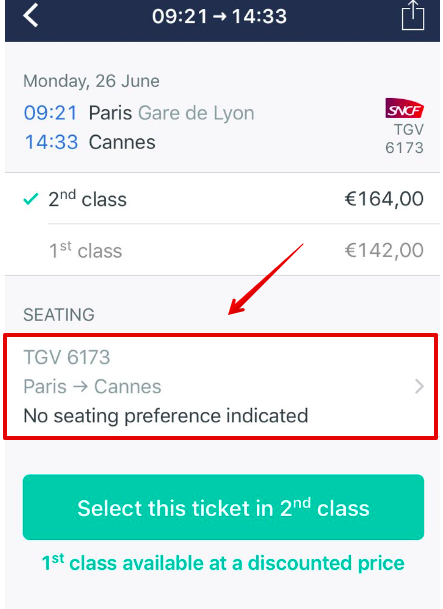 If you do not see an option for seating preferences, you may be travelling on a train that does not faciliate seat reservations. If you’d like to know more about this, please click here. Simply click on the drop down menu and select your preferred choice. Please be aware that this preference is a ‘wish’ that we pass on to the rail operator. Your seat selection cannot be guaranteed and is subject to availability. 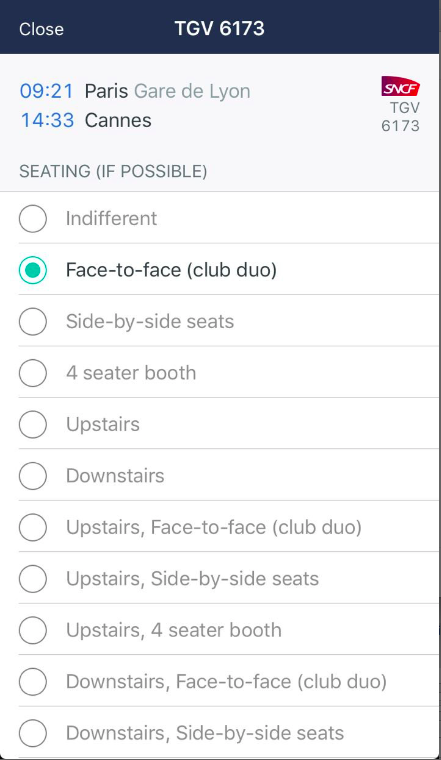 From here you are able to tap on the seating preferences section to be able to indicate you preferred seats. You are then able to indicate your seating preferences. Please note that these preferences are simply a wish that we pass on to the rail operator. The final allocation of seats is subject to the availability of seats on the train. For this reason, your seat selection cannot be guaranteed.